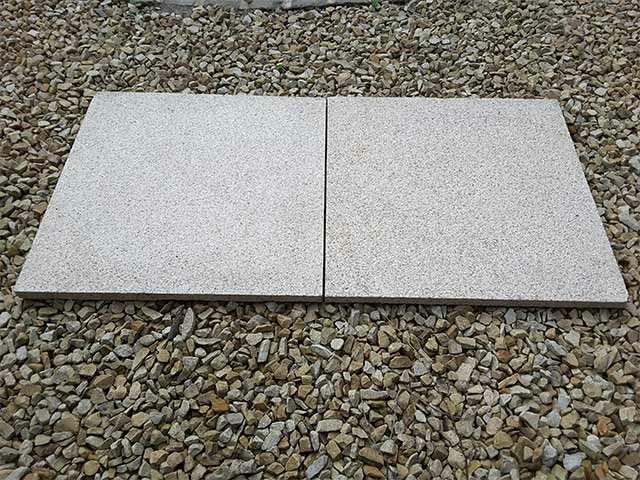 For applications that call for a durable natural stone paving solution that provides warm colouration to complement the exterior surroundings, our Oatmeal Granite Paving Stones are a favourite option for our customers. 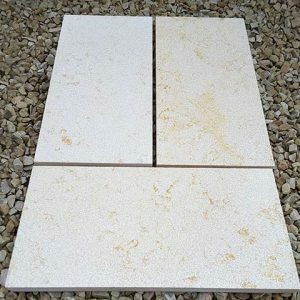 This natural paving stone has a lovely mix of yellow hues. It is durable, weather resistant and less likely to scratch or crack. 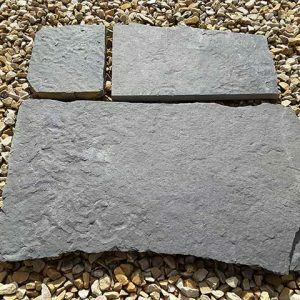 Available for convenient purchase online and delivery to locations throughout Ireland, this paving stone can hold up to heavy foot traffic with the utmost of ease. 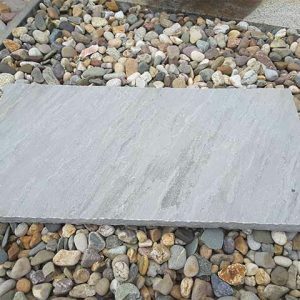 The Oatmeal Granite Paving Stone offer a colour similar to that of some varieties of sandstone with its balance of yellows and greys; however, these paving stones are genuine granite, a stone that is much harder than sandstone. 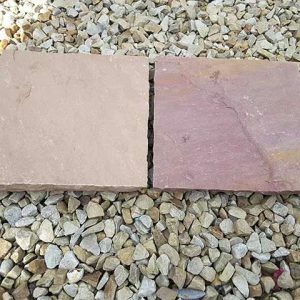 As a result, projects paved with this warm coloured stone will be much less likely to crack or to become scratched. 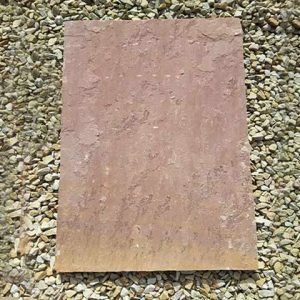 The stone is highly weather resistant, and even in areas exposed to direct sunlight, the colour will remain beautiful due to the colourfast nature of the stone. 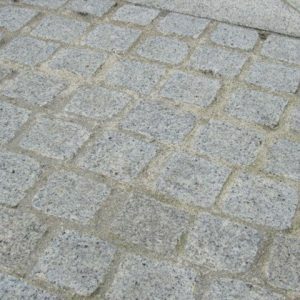 Perfect for walkways, sidewalks and garden pathways, our Oatmeal Granite Paving Stones feature a bushhammered finish. By working the stone with this masonry hammer’s serrated edge, we are able to give the stone a rough surface that is very pleasing to the eye. Roughing the stone also provides traction underfoot for less chance of slipping when conditions are wet or icy. This is especially beneficial for family gardens, commercial paving and for paving in public areas as it can reduce the risk of slip and fall accidents. 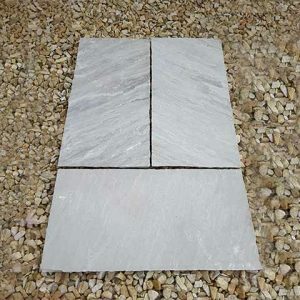 Check out our blog post about laying paving slabs to learn more. Oatmeal Granite Paving Stones are 30 millimetres thick for strength and durability. 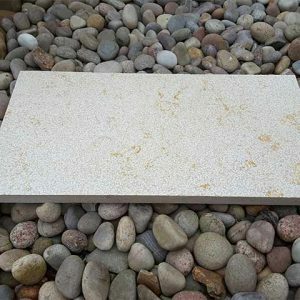 Surfaces paved with the material will require very little maintenance, other than occasional cleaning, due to the durable properties of granite. 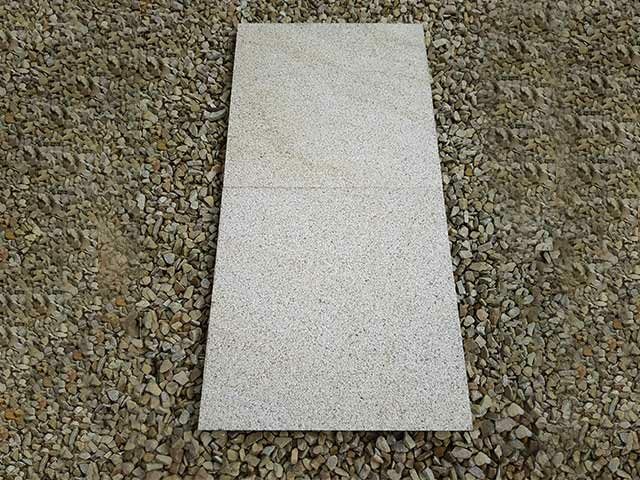 At Midland Stone, we offer Oatmeal Granite Paving Stones by the square meter. 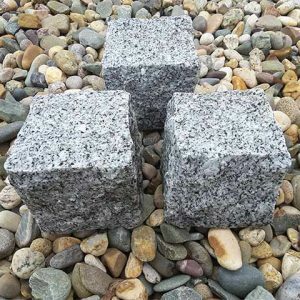 Each unit added to your basket will provide an additional square meter of stone. Use the online calculator to determine how much you require or contact us by phone, email or online chat for assistance with calculating your material requirements.